This publication offers insights into the importance of building information management (BIM), and notably digital mockups, in meeting a significant part of the challenges associated with the value production chain of the Building and Public Works Sector, facility management, and, in broader terms, smart cities. It underlines the strategic issues for the industry and highlights a few of the changes we can expect to see as the effective management of building information becomes more widespread. Data on the siting of buildings, data on highways, on geology, etc. Plans by architects, urban planners, etc. The reserve of data from "sensors" that can be integrated right from the digital mockup design phase for improved management and above all improved anticipation through the implementation of predictive models (examples: smart meters, predictive maintenance of mechanical parts…). All these data find themselves concentrated in digital mockups that are at the heart of industries, construction, and facility management. These data feed what we call "Big Data". The building industry is the only industry with a declining per capita productivity rate. Due to the levels at which the building industry mobilizes cash, the value created by its players is already structurally low, and its level is tending to decrease. Institutional and political actors, who nevertheless wish to support the building industry in order to meet the challenge of the growth in cities, have gauged this trend. An industry subjected to numerous elements of uncertainty that are difficult to predict, such as the weather, regulatory developments, etc. The large size of the renovation market, in which, in contrast to the new-build market, its random nature and the lack of a structured approach to the work compromise profitability. The factors that are intrinsic (i.e. aside from market impact and manual labour costs) to the industry can be boiled down to a single issue: interoperability, in other words, tha ability of the various trades to act together. To illustrate this in almost caricatural terms: it is about making sure that the electrician or the plumber do not come out to work on the construction site until the work to be done by the mason has been carried out. It is also about avoiding ordering materials that will end up not being installed, or special machines that serve no purpose, etc. Despite the fact that the American market is relatively productive given its qualitative characteristics (with renovations accounting for a relatively small part of the market), economic studies carried out there revealed additional costs in the order of USD 60 billion in 20053 due to the lack of interoperability. These additional costs are spread out unevenly throughout a building's life cycle; they are concentrated at the end of the construction cycle. All these additional costs are borne by the end users of the constructions and take the form of delays in completion and invoices that exceed – sometimes by a considerable amount – the initial quotes. The beneficiaries of the constructions and the facility managers bear two thirds of all additional costs. Whilst the industry's players do not today expect its low and decreasing productivity to change radically as a result of solutions that, although they may be possible, nevertheless require a transformation in working methods and a broad dissemination of new technologies for processing information, there is, however, consensus on what these sources of progress are. Making more widespread use of BIM throughout the value chain, from the sketches done by the architects, through the design and then construction phases, to the maintenance of the site later on, could be a way of improving the completeness and effective transmission of information throughout the cycle. However, integrated projects, in which the parties who will carry out the work are selected right from the design phase and participate in the technical design, reduce the time periods for completing constructions. Naturally, integrated projects assume intense communication between all players right from the upstream phases of projects, which reinforces the need to master design and construction data (3D, 4D, 5D mockups, project management, management of technical data, etc.). • those associated with the life span and use of the building (7D), such as remodeling, site conversion, etc. 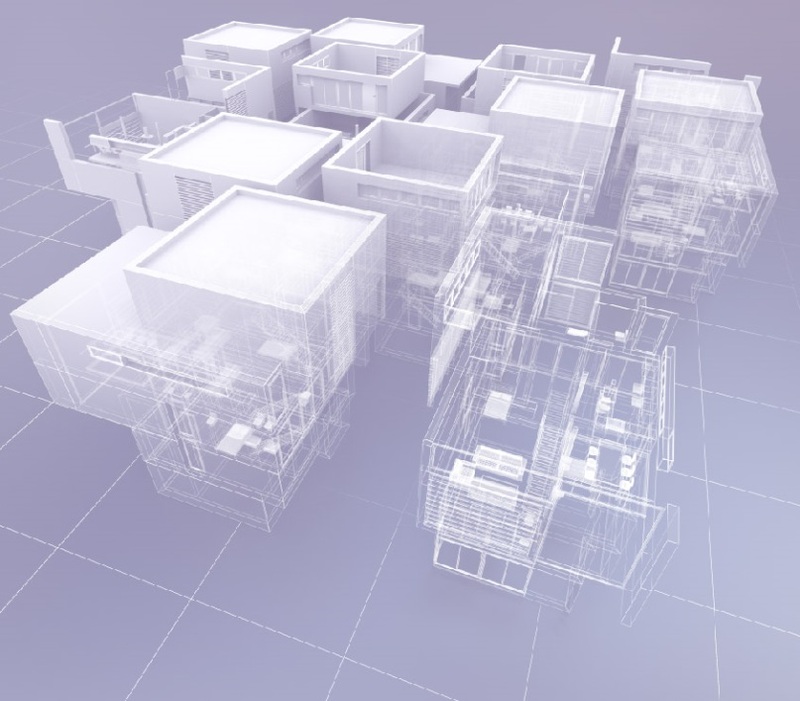 A BIM digital mockup is therefore created from at least hundreds of objects (running into tens of thousands for complex and highly technical programs such as a hospital) containing information on these different aspects. This information can range from the composition of the concrete for a structural component, to the exact reference of a door handle or a light switch, an assembly sequence, the thermal characteristics of a window… It naturally concerns players in the Building and Public Works sector but also property management firms, planners, maintenance activity players, and security forces. The above diagram, which is well known to IT experts, shows how important it is to discover defects as far upstream in the cycle as possible. A significant part of the additional costs created by these late discoveries could have been avoided through the upstream use of a BIM mockup shared by all the players in the construction. By using advanced tools that are not subjected to the vagaries of the weather, the construction of modules in the factory simplifies the work to be performed on site and reduces the need for manual labour where it is least profitable, namely on the construction site, thereby optimizing the use of the mobilized cash. Comparative measurements of these two construction techniques show a time saving that can range from 30 to 50%. Beyond the financial aspect, these techniques allow the construction to be greener, through better control over the energy footprint of the modules, safer for the workers, and more compliant with norms, and to consume less material. It is tempting to forget that the life span of a building is long and that the costs of maintaining and redesigning buildings are high when the construction information and data are scattered, managed in paper form, and, most of the time, hardly representative of the building "as it is". Faced with these findings, it is apparent that the creation of a digital ecosystem, sharing data between all parties involved in the value chain, is one of the keys to generating value and productivity for the whole industry. BIM meets this challenge through digital mockups. The building industry has for a long time under-invested in its IT tools. The average amount of the investment in IT tools is 1.1% of revenue, which places the Building and Public Works industry in 19th position out of 20! Surprisingly, the sector's major companies are those that invest the least as a proportion of revenue, whilst the small firms invest around 1.6% of their revenue in IT tools. Paradoxically, this situation of chronic under-investment creates a significant opportunity for all digital tools, whether they be associated with purchases, diagnoses, or more generally with "as a service" tools accessible via the Cloud. Although BIM has been around since the 70s, the tools and possibilities it offers are today enjoying a boom. The level of adoption of BIM varies depending on the continent, with a slight lead for America where the use of mockups in 3D, 4D, and 5D is widespread for all significant constructions. … and shows a positive and quick return on investment. Three quarters (74%) of the Western European players using BIM report a positive perception of their investment, and this ratio is significantly above that for American companies (63%). On the two markets, the players who actually – in other words quantitatively – measure these gains perceive them to be greater than those players who go solely by their perception and qualitative aspects. In Europe, more than half of users actually measure the gains from BIM and their financial benefits. In the US less than a third do so. The major ordering parties are imposing BIM through open tendering procedures. Now systematic in the countries of Northern Europe, the BIM norm is tending to assert itself in most advanced countries. Aside from enabling more effective management of those buildings constructed using it, it serves to arm the local building industries and provide them with significant competitive advantages in the global competition for substantial construction contracts. • Attractiveness of territories and cities for inhabitants and tourists. 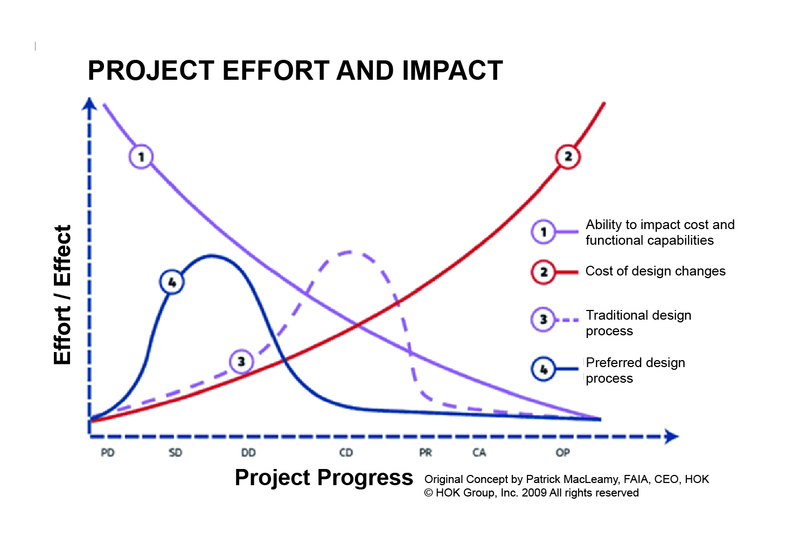 All these tendencies depend on the BIM mockups' data being of good quality and "fertilized" by data from their environment and the players involved throughout the value chain. Emmanuel Giorgi is a Director at Keyrus Management. Benefiting from dual academic training both as an engineer (ENSEA) and in commerce (ESSEC), he has worked for more than 20 years in the areas of strategic studies and marketing, notably around the launching of innovative products and concepts, and he leads assignments involving the transformation of enterprises (management of complex projects). Emmanuel has managed assignments for the strategic positioning and launching of new services in a variety of sectors and contexts (energy, telecommunications, business services). For a few years now he has regularly been involved with problem issues related to strategic marketing (portfolio segmentation, customer data) and distribution (sales). The combination of our know-how related to business functions and the Keyrus Group's technological expertise in data management provides our clients with an edge in terms of value and gives Keyrus Management a unique positioning in the consulting landscape. We thus help our clients to meet their increased need for rapid transformation by developing their agility and accelerating the use of digital, these two performance levers having become essential for all sectors of activity. Keyrus Management is developing its consulting activities in Paris, Lyons, Brussels, Montreal, São Paulo, and Shanghai, and is supported by the 2,500 employees of the Keyrus Group, present in 15 countries on 4 continents.